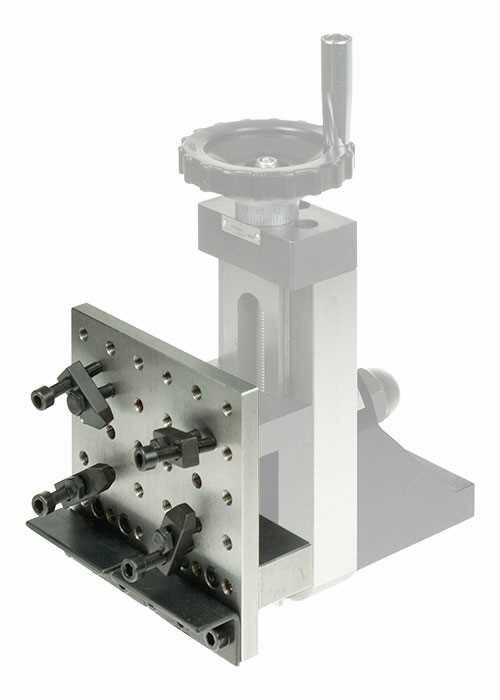 Used to extend the capacity of the C3 mini lathe milling attachment (vertical slide). 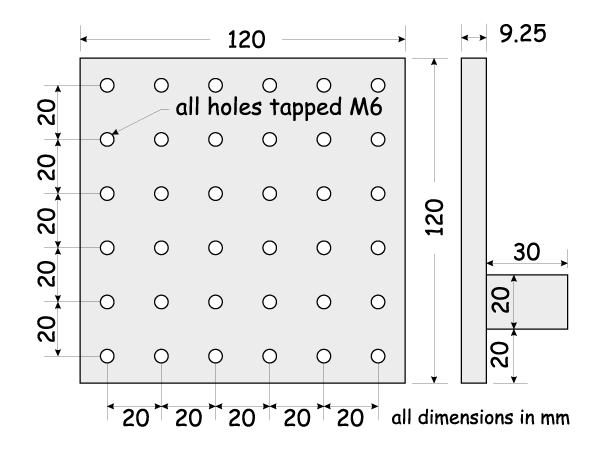 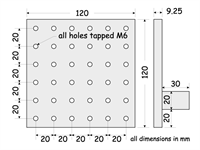 The table is 120x120mm overall with a matrix of tapped holes on 20x20mm centres. 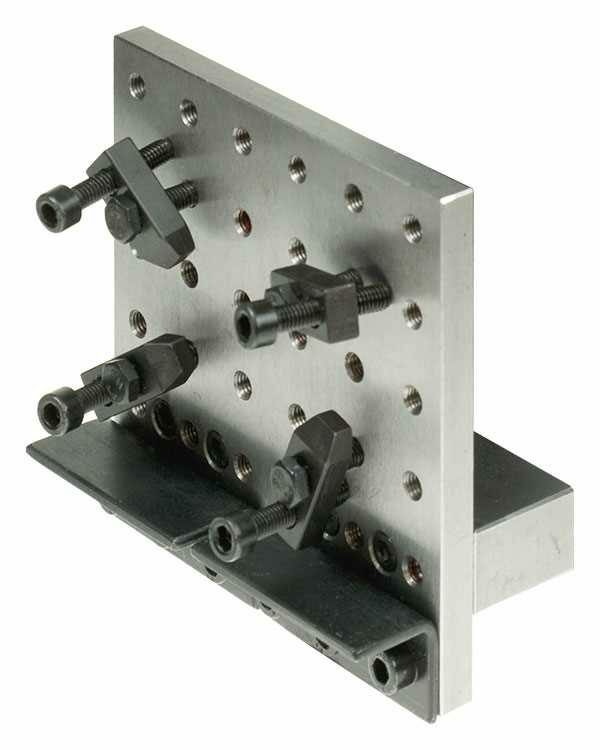 Supplied with 4 adjustable work clamps and 2 angle stops.